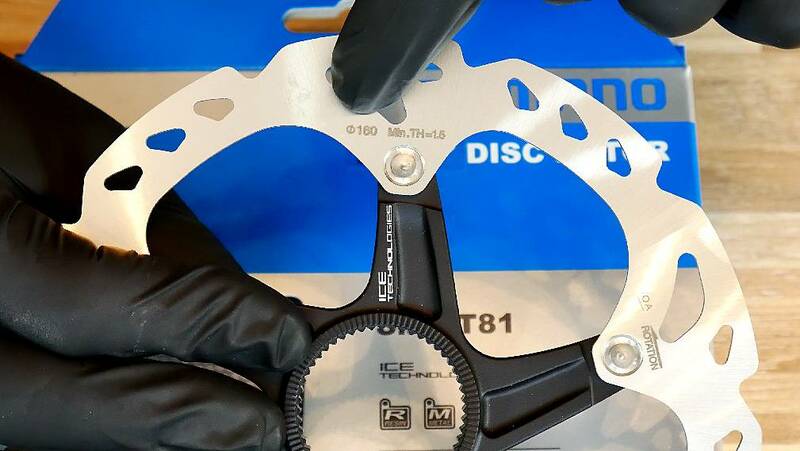 Disc brake rotors come in two assembly systems: Shimano Centerlock and 6 bolt (aka IS2000). 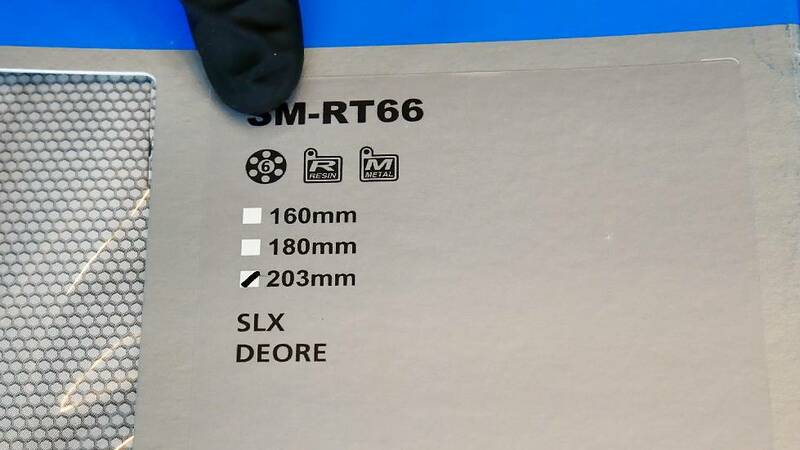 If you add the right diameter, you're ready to buy one for your bicycle. 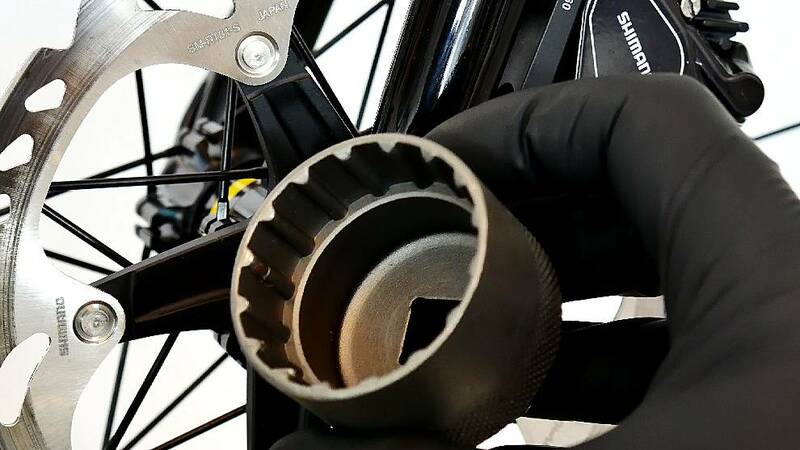 First check on you bike or the wheels you just bought, what is the mounting type for your rotor on the hubs. 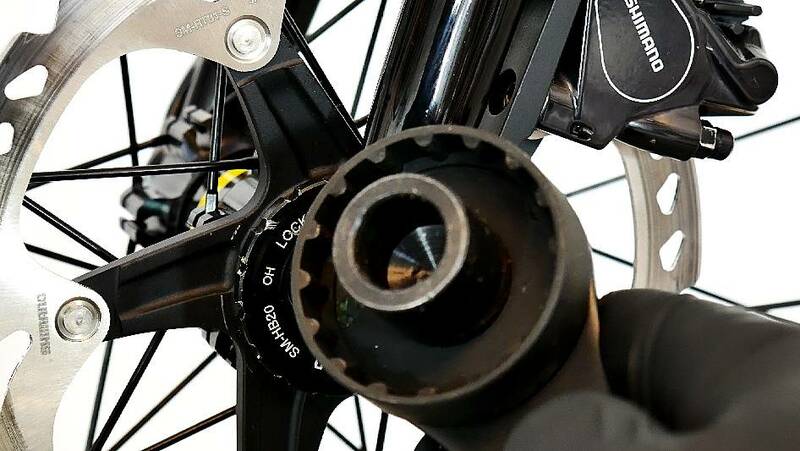 Discerning the difference between the two will be easy: if the rotor will be secured to the hub with one, central lockring - it is the Shimano Centerlock system. If you see six bolts or threads, that will be used to rotor assembly, guess the system... Correct! It is the 6 bolt system, or IS2000. 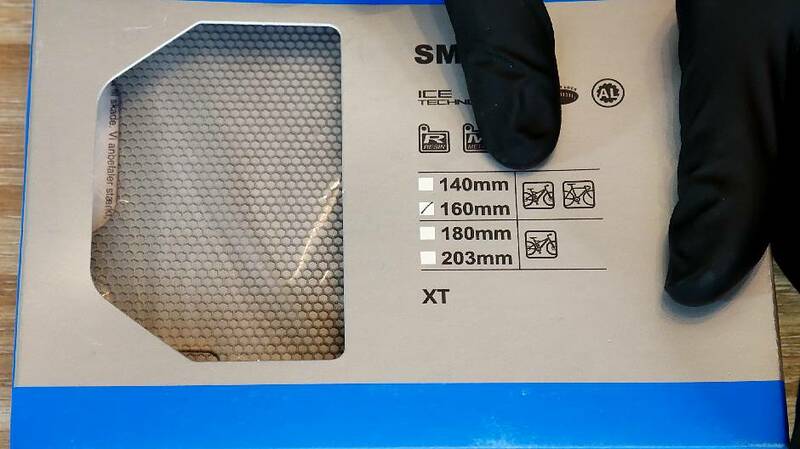 Centerlock symbol on the Shimano box. Easy to recognize: this is IS2000 (aka 6 bolt) assembly. Torx T25 and a torque wrench will be used for tightening these screws. Centerlock lockring on the hub with a through axle (see next photo). Bottom bracket tool will be used for assembly (see next photo). This bottom bracket tool won't fit - it should be hollow inside (as on the previous photo). Centerlock nut in the hub with a standard quick release (see next photo). 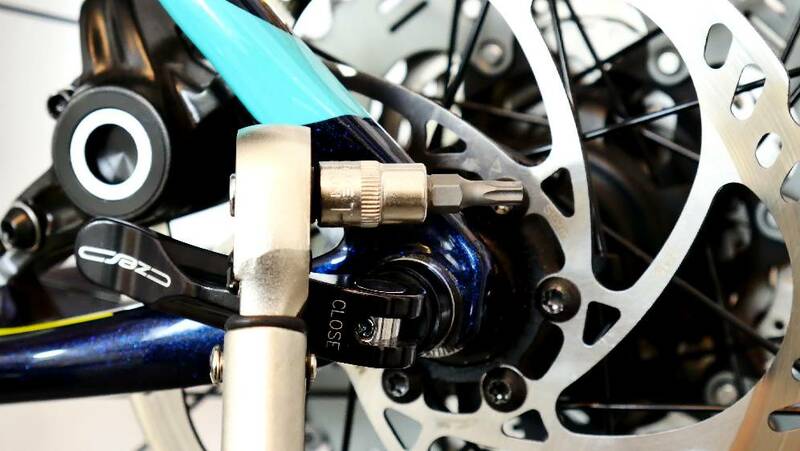 The cassette tool fits the Centerlock nut here. 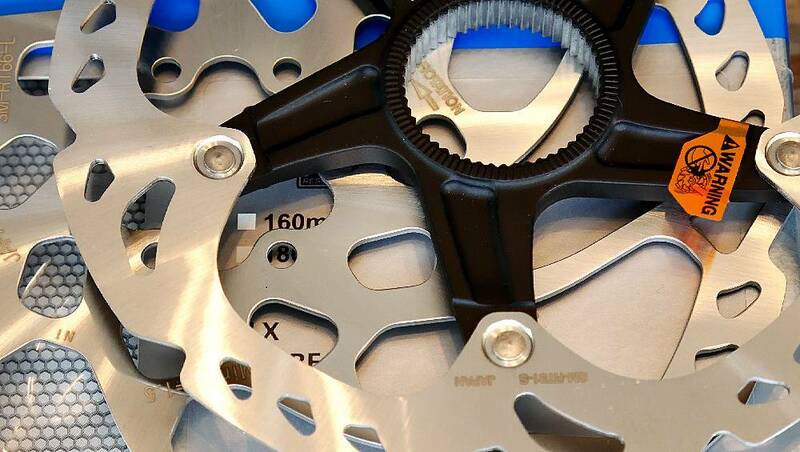 Road bikes and recreational mountain bikes will normally use the rotor size of 140mm or 160mm. 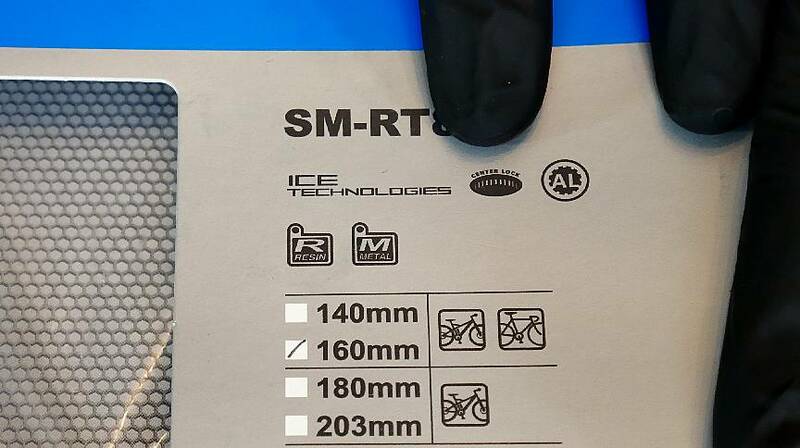 The bikes for more aggressive riding will need larger rotors: 180mm or 203mm. 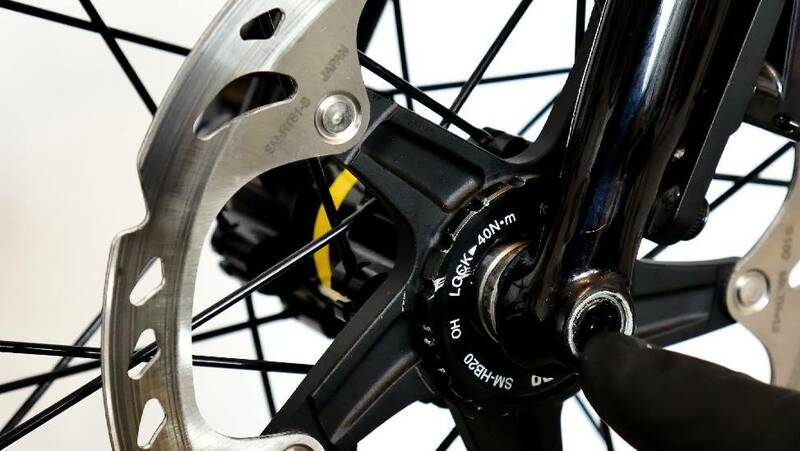 Before buying the disc for your bicycle, note that the front disc brake rotor may be larger, than the rear one. When replacing the rotors, check the diameter on BOTH brakes. Make sure you buy the right size, not only the right model. 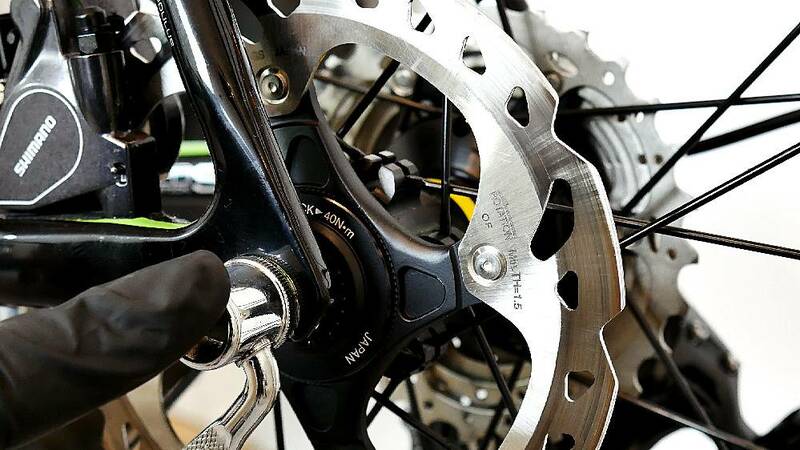 Due to more braking power in the front, the front rotor is often larger, than the rear one. Tools for disc brake rotor assembly. Look at the pictures on the first gallery. For 6 bolt system assembly you're going to need a torque wrench with Torx T25 bit. Using the right torque and not securing the bolts in a row, but every other bolt little by little will prevent the rotor from bending. 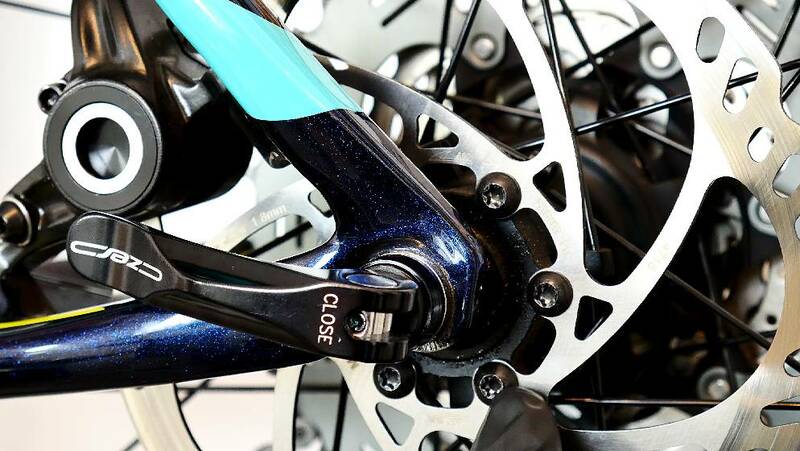 For the Centerlock system you're gonna use either the bottom bracket or the cassette tool.